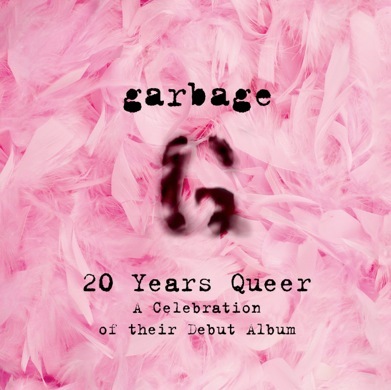 GARBAGE – “20 YEARS QUEER”. THE GROUP ANNOUNCE LIVE SHOWS IN PARIS AND LONDON TO CELEBRATE THE 20TH ANNIVERSARY OF THEIR 4 MILLION SELLING DEBUT ALBUM “GARBAGE”. Garbage will play a show in Paris and a show in London to celebrate the 20th anniversary of their groundbreaking debut album “Garbage”. The album was released in 1995 and went on to sell 4 million copies, spawning a succession of hit singles including “Stupid Girl” “Only Happy When It Rains” “Vow” and “Queer”. The forthcoming dates are titled ’20 Years Queer’. Garbage are currently in the studio working on new material. Shirley Manson said today: “This is the album that started everything for us and we look back on it with great fondness. It’s been really great to revisit these songs whilst working on new material – interesting to see how the essence of the band remains strong as we evolve”.